Nicola Pearson (right) with New Beginnings Structured Day Programme Manager Paul Wade. A Doncaster woman who is turning her life around after years of drug addiction has spoken out to praise the local services supporting her in her recovery. Nicola Pearson (40) who is taking part in Aspire Drug and Alcohol Service’s Structured Day Programme at New Beginnings in Balby is bravely sharing her story to demonstrate to others in a similar situation that recovery is possible. Nicola said: “Three years ago I hit rock bottom because of my addiction and the bad place I was in mentally and physically, I received a lengthy prison sentence and was branded as ‘scum’. After an unhappy childhood and fleeing an abusive relationship, Nicola turned to prostitution 17 years ago to support her young children. To block out the guilt and shame she felt about her chosen profession, she turned to drink and drugs and soon became addicted to heroin. Her life spiralled out of control and she turned to crime to fund her habit. She spent short periods of time in prison, and as a result she lost her children into care and adoption. Despite coming off methadone she continued to be a working girl, but became addicted to other drugs, and eventually hit rock bottom and was sent to prison, where she began the process of putting her life back on track. Nicola said: “I hated the person I’d become and it was either end up dead, or go to prison, that was how bad it had got. “I’d tried unsuccessfully before to get off drugs, but I never really dealt with the reasons why I used them in the first place, and always returned back to my old ways. 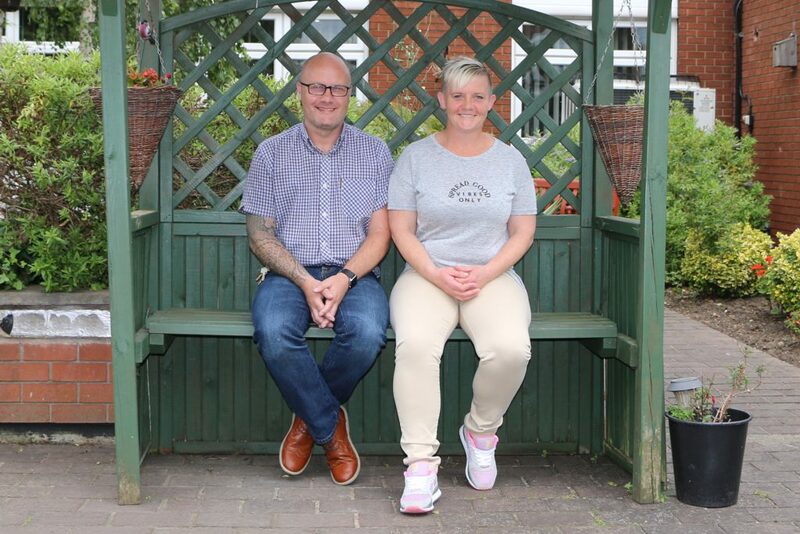 “This time I’d had enough of my lifestyle and really wanted to make the change, and one day in prison a very special lady called Leah Halker from the charity Changing Lives came to see me. She told me the services do work, but you have to be ready and willing to let them – and I’d never really considered it that way before. “Thanks to Leah, I got the start I needed and here at New Beginnings I’ve had the time to recover properly. I’m really dealing with the root causes of all my problems and learning about what makes me tick. “The staff here challenge me out of my comfort zone and help me manage every day feelings and emotions without the need for drugs or drink, and I’m proud to say I’ve been total abstinent for over eight months now without any relapses. “I know I won’t go back to my old life, I’ve had so many positive experiences over the past few months and it’s so good to wake up every morning with a clear head, feeling healthy. Looking to the future Nicola wants to help others to change their lives. She is already supporting Doncaster’s Amber Project, volunteering her time to visit working girls in hostels to share her own experiences and demonstrate that change really is possible. She added; “I want to put all I’ve learned into helping someone who thinks the system doesn’t work – or there’s no way out – and give something back to the community after all the wrong I’ve done. For a confidential chat about drug or alcohol issues please ring (01302) 730956, people can also visit Aspire’s Live Chat at www.aspire.community.